Elizabeth Harvest is available on digital download from Monday 1st April and can be bought here. What it is to get married? Completely overwhelming no doubt, especially when you are surprised with the gift of a super-modern mountain top mansion estate and the realisation of a dream. Of a brilliant man who would steal you away from everything that was ugly, and give you more than you ever could have wished for - but is there always this instant and unshakable sense of tension? Is everything ok for newlyweds Elizabeth and Henry, played by Abby Lee andCiarán Hinds? They seem to have it all, beauty and an entrancing stare on the part of Elizabeth and inordinate wealth and the mind of a genius on the part of Henry, but to Elizabeth something just doesn’t seem right. Why would Henry want to be with someone “simple” like her, and more to the point, why doesn’t she know this already? Certainly this is going to be a challenging relationship especially if Elizabeth is to survive it! ​Elizabeth Harvest from the outset presents excellent cinematography and a cryptic plot. Framed within its modernist aesthetic we are to be taken on a journey of the dynamic between male and female archetypes with gruesome,and sinister scenes as the narrative develops. This is a great movie, thought provoking and stylish, it opensup to steadily reveal clues about its purpose, bringing in clever points of reference from film, psychology and mythology for us to piece together and understand its message. 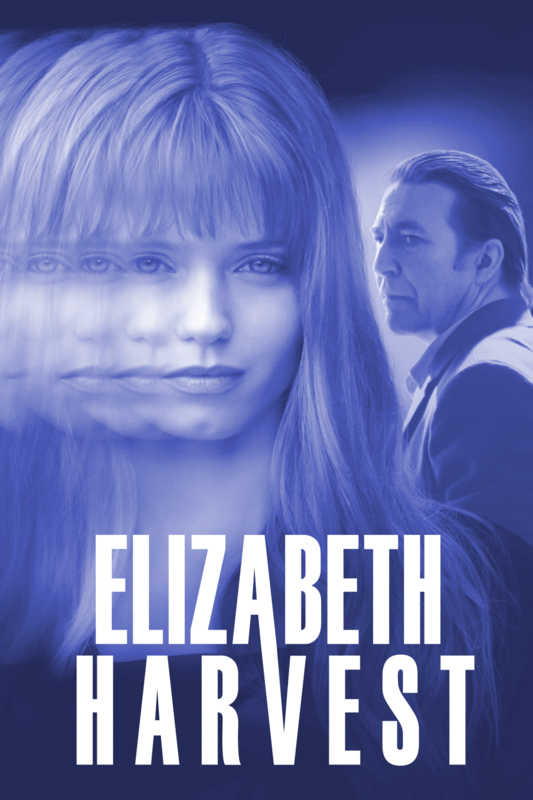 Elizabeth Harvest develops at engaging pace and manages to express complex depths without being stifling,leaving the viewer with a sense that they have experienced something important and worthy of contemplation. After a bit of reflection I guess that to me Elizabeth Harvest is a metaphor for the destruction of imposed gender and identity constructs, in order to reveal the true self and the ultimate self-freedom. An important movie for any time but seems to have specific relevance to now. I’d be really surprised if this movie disappointed, absorbing, compelling, impressive and progressive – how could it!